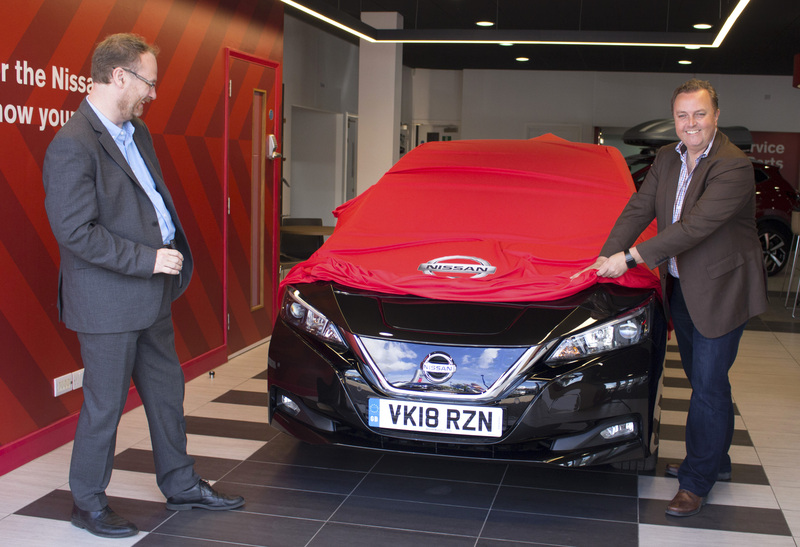 AN NHS employee and youth club leader has driven away a new Nissan LEAF, after winning a competition run by leading automotive magazine Auto Express. Ian Bryant, 49, of Wraysbury near Windsor, was presented with the keys to a pearl black 40kWh LEAF at West Way Hanwell, West London. Ian will also have a PodPoint home charging unit fitted at his family home for the year-long prize. Ian will be using the LEAF for his daily commute to the Chelsea and Westminster Hospital — where he is Deputy Director of IT — as well as providing transport to youngsters at the youth club he runs twice a month. 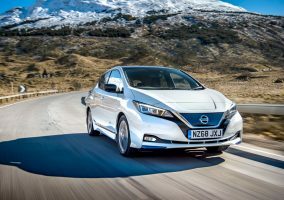 “I’ve never owned an electric vehicle before and I’m really excited to get started, although I am anticipating the lack of any noise is going to take some getting used to!” Ian said. “It’s a very cool car and I expect the youth club will be impressed! 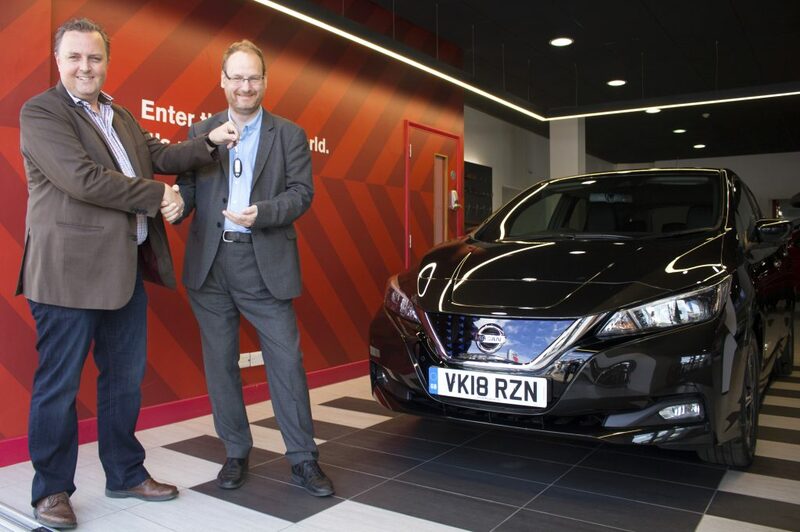 Steve Fowler, editor-in-chief of Auto Express hands the keys of the Nissan LEAF over to prize winner Ian Bryant. 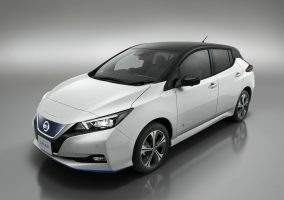 The new Nissan LEAF is unveiled to a delighted Ian Bryant.